Philip Seymour Hoffman’s best performances in bad movies, from Twister to Mission: Impossible III to letting it rain in Along Came Polly. Philip Seymour Hoffman was great in bad movies, too. 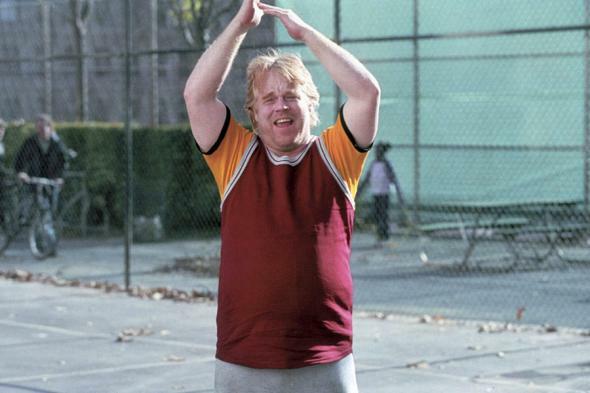 Philip Seymour Hoffman, who tragically died today at 46, never phoned it in. Even when the movie was terrible. It should be said, he didn’t do a lot of bad movies—a quick glance at Rotten Tomatoes shows that his movies were almost uniformly well-received—but instead favored strong projects from talents like Paul Thomas Anderson (Magnolia, Boogie Nights, Punch-Drunk Love, The Master) and Bennett Miller (Capote, Moneyball). But even when Hoffman was stuck in an absolute stinker, you could always count on him to remain 100-percent committed. Twister was little more than a feature-length excuse for animating CGI tornadoes, and Philip Seymour Hoffman was cast in the relatively thankless role of the radio man. And yet he managed to turn this small supporting role into a character memorable enough that fans have cut highlight reels of just his performance. One is below; the other one is 9 minutes. Patch Adams was a star vehicle for Robin Williams, a chance for him to combine his award-winning performance as a real-life doctor in Awakenings with his comedic gifts. Hoffman was cast, as he so often was, as the heel, but I remember watching this movie even as a kid and noticing his talent. Not for the first or the last time, he conjured up the kind of loser you could at once sympathize with and love to hate. One of Hoffman’s specialties was playing creepy pervs, and he offered a version of that type in Red Dragon, one of the less acclaimed Hannibal Lecter films, in which he played a nosy tabloid reporter. Hoffman’s loathsome character quickly falls victim to the dragon, giving Hoffman a scene in which he has little to do but react with terror (“Oh God,” “Oh my dear God Jesus,” “Please no”). The scene calls for a tricky mix of horror and campy humor, and Hoffman walks the line expertly. Hoffman managed to be legitimately chilling in his role as the icy villain Owen Davian in Mission: Impossible III (a movie that’s not exactly bad but also isn’t up to Hoffman’s usual high standards). But he also got the chance to provide some campy fun, too. In this scene, Hoffman plays not only Davian, but also (thanks to the series’ signature masks) Tom Cruise as Ethan Hunt as Owen Davian. This leads to a set piece in which the actor fights himself—but my favorite part is just around 25 seconds in, when he pulls his features into the ultimate Tom-Cruise-is-determined face. Hoffman was as as good at comedy as he was at drama. Just think of his yes-man character paraphrasing his boss in The Big Lebowski: “This is our concern, Dude.” Even when he was supporting Ben Stiller, it was his “Rain dance!” that ran away with the movie. Read more of Slate’s coverage of Philip Seymour Hoffman.